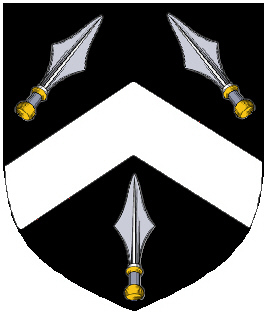 Coat of Arms: Black with a chevron between three spearheads. Motto Translated: A golden head and true heart. 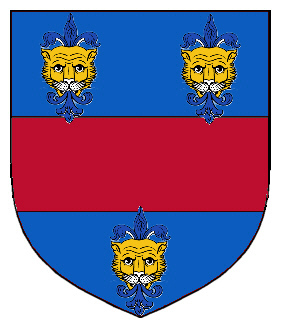 The leopard swallowing a Flerr-de-llis* signifies the lion of the English arms swallowing the lily of the French coat. This represented Edward lll victorious campaigns in France. The leopards heads are said to represent a valiant and hardy warrior. 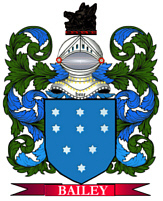 Virtue is the Way of Life First found in Breconshire, where they were seated at Pennoyre from ancient times and early in the eleventh century branched to Llangorse in that same shire. Some of the first settlers of this name or some of its variants were: Henry Watkins who was a fisherman of Little Harbour in Twillingate Newfoundland in 1814; Peregrine Watkines settled in Virginia in 1621; Evan Watkins settled in Virginia in 1622. *********************** 10 Betty Jean Matteson b: Corry Memorial Hosp Corry, Erie Co Pa.
Spelling variations include: Watkins, Watkyns, Watkens, Watkin and others.